The Master of Education (M.Ed.) with emphasis in Educational Leadership enhances excellence in school leadership by encouraging individual growth and application of research-based techniques and emerging theory in the leadership setting. The program also builds on teacher preparation received in previous educator prep programs. The EDLD program will require more in-depth study, reading, research, and sharing with classmates in a professional, collegial, and academic setting. Candidates for the Master of Education in Educational Leadership complete a 30-hour program, 400 clock hours of field-based learning experiences, and successfully pass a comprehensive examination. 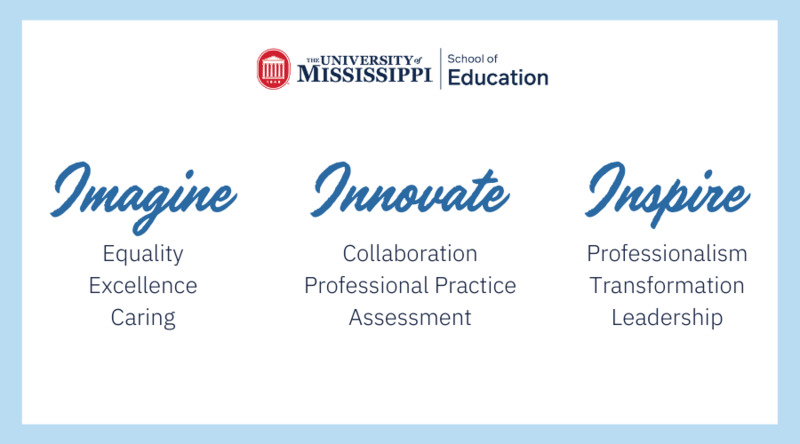 The program includes ten courses built around the Professional Standards for Educational Leaders (2015). Priority application deadline: Review of applications will begin on 1 March (for summer entrance). All materials must be in the system to receive an admissions decision. M.Ed. graduates are professionals committed to becoming school administrators who are committed to learning and modeling appropriate practices based on research and emerging theory. As a result of their experiences in the program, interactions with colleagues and faculty, and continued study, they think reflectively about leadership practices and ways to enhance it. The program is delivered online to help educators utilize the best practices and latest research related to leadership education. Our flexible program is designed to enable educators to pursue graduate education online without having to commute long distances. Classes are also offered at all of the regional campuses.